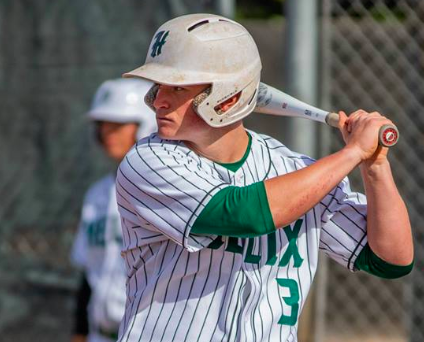 LA MESA (4-3-2019) – The power display was unlike any by the Helix Highlanders all season. The Scotties’ Eric Smelko, Noah Lane, and Carlos Oquita all smacked home runs Tuesday (Apr. 2), grabbing undisputed possession of first place in the Grossmont Hills “Super League” after mashing Santana, 6-2, at the Highlanders’ diamond. Smelko started the parade of long-balls, hitting a one-out solo shot to left field in the 1st. An inning later, Lane sent a similar shot to left, also scoring Adam Martinez (lead single) for a 2-run homer and a 3-0 lead. The offense was enough for Helix pitchers Jordon Thompson and Christopher Paruleski. Thompson struck out eight Sultans in his four innings to gain the victory. Paruleski recorded four Ks over three frames for the save. Both allowed just one earned run. Oquita’s home run went out to center field. The verdict leaves Helix (9-6 overall, 4-12 GHL) a full game ahead of Grossmont, which fell to previously winless Granite Hills, while Santana (7-8) remains third at 2-3 in league. Still the top of the Santana lineup card remains dangerous. Brandon Glowacki went 3-for-4, while Tyler Glowacki was 2-for-3 with a walk. In addition, Tyler Fitzgerald had two hits, scoring both times. GRANITE HILLS 9, GROSSMONT 1: Rumor had it that the visiting Eagles were not very happy being completely written off in the Grossmont Hills pennant race following an 0-4 start. And they did something about it. At Grossmont, Eagles pitcher Noa Ponciano fired a 2-hitter and Jacob Hennessey homered in roughing up the Foothillers, knocking them out of a first-place tie with Helix. Ponciano, a 5-foot-7 sophomore, struck out three, with the lone run allowed coming on an error. He’s been solid in his most recent starts, but a lack of offense to back him and contributed to his .500 record — but not on this occasion. “I have had a good mindset for pitching,” Ponciano said. Granite Hills clubbed 10 hits, including four for extra bases. Along with Hennessey’s homer, a 3-run shot to left to punctuate the victory in the 7th, the Eagles received doubles from Clay Fordham, Ivan Garcia, and T.K. Parker. The key hit came in the 4th with Granite Hills leading 2-1. With two out, a Parker single scored, but when the ball was bobbled in the outfield, the margin jumped to 4-1. The Eagles added two more runs an inning later on a wild pitch and an error. For Granite Hills (7-8 overall, 1-4 GHL), leadoff hitter Ryan Fenn went 1-for-2 and walked three times. Parker added two hits. Austin Smith had a hit, walked twice and drove in a run. “A win felt great,” Smith said. “It was a great team win everybody put balls in plays and made plays on defense to contributed to a win. Grossmont (10-6, 3-2 GHL) had hits by Vito Fowler and Keoni Valdez. EL CAPITAN 12, FOOTHILLS CHRISTIAN 6: At Hostetler Field, the visiting knights allowed another early lead to slip away, as the Vaqueros tallied nine times in the 5th inning to overcome a 6-1 deficit to claim Tuesday’s (Apr. 2) non-league ballgame. The cave-in started on consecutive hits by Brandon Williams (double), Kevin Allison and Austin Barker — the bottom third of the batting order. Turning over the lineup card, an error allowed a run to score, then a sacrifice fly by Austin Bell. Foothills Christian built an early lead by scoring three times in the 1st and 5th innings. The Knights started the game with runners on a walk and an error, setting up a one-out, 3-run homer by cleanup hitter Kip Famolaro. The ball landed into the parking lot beyond left field. “The bottom line is that we’ve got to learn to handle a seven-inning game,” Famolaro said. 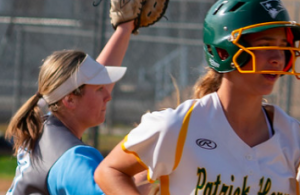 “One of our coaches always says it only takes one or two innings offensively to win a game, but defensively it takes all seven. The runs also came quickly in the 5th. Jalani Brown led off with a double, scoring on a base hit by Cade Cabral, who scored on a triple by Corbin Harris (3-for-4). For El Capitan (5-8), Barker finished with four RBI, while Connor Crist knocked in a pair. The Knights fell to 3-13 overall. 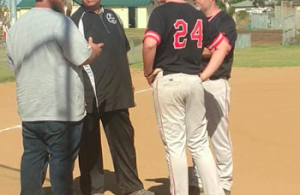 ST. AUGUSTINE 10, CHRISTIAN 1: At Hickman Field in Kearny Mesa, Saints pitcher Giancarlo Cortez limited the Patriots to just three hits over five innings in claiming Tuesday’s (Mar. 2) Western League contest. 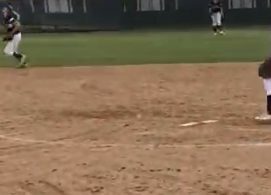 Cole Bertsche retired all six batters he faced to close out the first league victory for St. Augustine (9-7 overall, 14 WL). The Saints received a pair of doubles from both Fisher Pyatt (3-for-3) and Charlie Rhee (3-for-4, 2 RBI), the top two batters on the SAHS lineup card. Giancarlo Cortez and Luke Mansy had two RBI each. Christian (5-11, 0-5 WL) saw No. 8 batter Braeden Ross go 2-for-3 including a double, while No. 9 hitter Fisher Ransom had the other base hit. “We are currently in a two-steps forward, one-step back mode,” Christian High head coach Mike Mitchell said. “Our biggest problem is consistency, or I should say, lack of consistency. “Our players are not stringing good at-bats together and keep falling back to their bad habits and not what we work on in practice. The reality is that they will continue to struggle at the plate until they buy in to what we are trying to teach. “They are continuing to try to do things ‘their way’ and if you look at our numbers, it is glaringly obvious that ‘their way’ is not working and our inability to execute in key situations, such as failure to get a bunt down, failure to defend a bunt, missing signs, has cost us in close games. The return game is Thursday at Mitchell Field. OTAY RANCH 7, MONTE VISTA 0: At Spring Valley, a trio of Mustangs pitchers — Xavier Martinez, Damian Tarin (committed to SDSU), and Octavio Corona (committed to St. Mary’s) — combined on a 3-hit shutout of the Monarchs in Tuesday’s (Apr. 2) non-league contest. Tarin went the middle three innings, striking out five to collect the victory. The lone hits for Monte Vista (8-8) were by Ernie Arambula, Derrick Wiley and Aaron Zuniga. For Arambula, the shortstop now has hit in seven of his last eight games. The bottom of the Otay Ranch (7-8-1) batting order saw No. 8 hitter Christopher Gulley register three hits, while No.9 batter Noah Isley added two hits. Both scored twice. “Our guys competed and battled all game,” Neu said. “I was proud of our approach at the plate. We hung in there on guys throwing 88-90 miles per hour. We took good swings and hit some balls hard. “In the end, they capitalized on our mistakes. Our pitchers did a great job hanging in there after my starter (Andrew Savoy) got hit with a comebacker in the second inning. “Going to the pen in the second inning is far from ideal, but it was a 3-0 game going into the sixth.